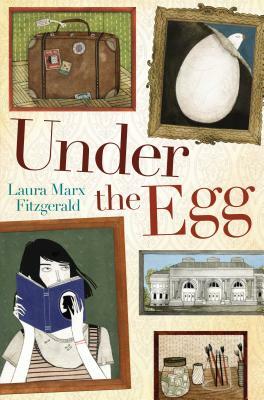 Theo Tenpenney can’t stop thinking about the last words her grandfather, Jack, uttered to her before dying: “It’s under the egg…there’s a letter…and a treasure.” Theo can’t get these words out of her head, but she also can’t figure them out. She’s desperate for a hidden treasure. She’s trying to survive on the $463 Jack left in a mason jar. Her mother is present, but preoccupied by her obsessive work on math theorems. Jack was Theo’s caretaker and now she’s left to fend for herself. Theo discovers her first clue when she accidentally spills alcohol on a painting that hung above the mantle. This reveals another, much older, and potentially valuable painting. Where did this painting come from and why did Jack keep it hidden? Is this the treasure Jack referred to? Theo embarks on a quest to discover the origins of this painting. Along the way she learns about her grandfather’s secret past.